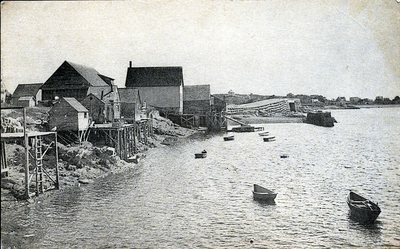 "Orr's Island, Maine, Fish Houses and Bridge "
Scanned black and white image from a postcard. This post card was published by H.J. Burrowes Company, Portland, Maine and depicts boats and fishing houses along the coast line on Orr's Island.